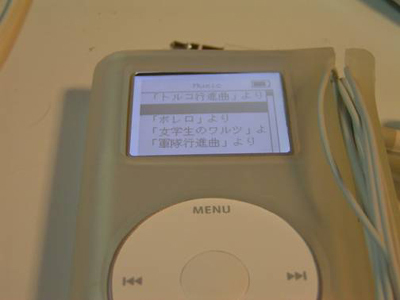 Our very own Tsubasa Kato has posted a quick ‘n dirty How-To over at his own site covering the arcane mysteries of getting podzilla to display Japanese characters on an iPod running Linux. Kato-san digs his IT and you can tell he’s serious when he gets into Jpodzilla for handling those pesky kanji. Sure, the info’s out there but this draws it together nicely. Once you’ve untangled your ZIPs and TGZs, you’ll be revelling in Morning Musume song titles like Ai Araba It’s All Right in a jiffy.